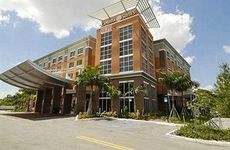 Find Cambria Hotel Ft Lauderdale, Airport South & Cruise Port deals, discounts and special offers. Spacious, stylish guestrooms feature 32" LCD TVs, is close to Dania Beach and features a heated swimming pool. Casual, upscale hotel is close to beach, fine dining venues and shopping. Guests can enjoy heated outdoor pool. This 250-room hotel offers an outdoor heated pool, an airport shuttle, and outdoor lighted tennis courts. The non-smoking hotel is located near the cruise terminal, Ft. Lauderdale airport and features free breakfast. The hotel is just minutes from breathtaking beaches, pristine golf courses and great shopping on Las Olas Blvd. The all suites hotel is minutes from breathtaking beaches, pristine golf courses and great shopping on Las Olas Blvd.